Located in the heart of Raffles Place, with sheltered direct access to Raffles Place MRT, 20 Collyer Quay boasts a panoramic view of Marina Bay. Office lobbies have been recently upgraded including a lift designation – controlled system. Some of its prominent corporate tenants include Munich Management Pte. Ltd. and HL Bank. 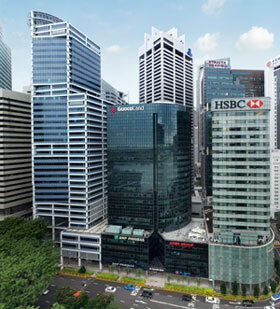 In 2013, 20 Collyer Quay was recertified with the BCA Green Mark Award for Existing Buildings and also awarded with the PUB Water Efficient Building (SILVER) Certification for Office Building Sector.